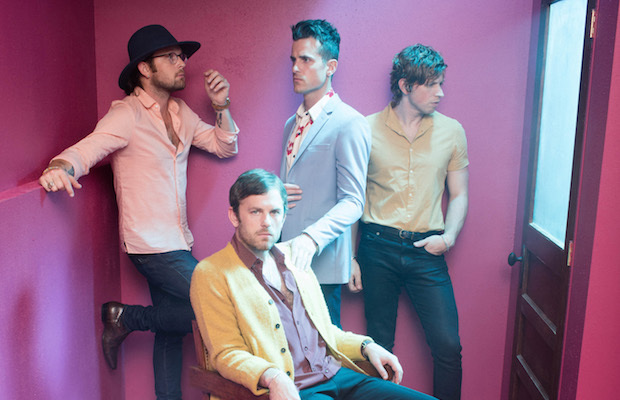 Resident local rockstars Kings of Leon recently announced that their seventh album, Walls, will finally arrive this fall, Oct. 14 via RCA Records. Recorded in Los Angeles and helmed by producer Markus Dravs, the Grammy winning group are promising songs that focus heavily on personal stories, and with the recent release of strong lead single “Waste a Moment,” it sounds like KoL and have a chance to refresh and refocus without breaking the formula that works so well. New Year’s Eve performances and private events aside, it’s been over two and a half years since the breakout Nashville band last played a proper hometown show, so the news that they’ll play Ascend Amphitheater on Oct. 6, specifically to give Music City a chance to preview tracks from the new album live before anyone else in the U.S., is especially exciting! Given that the Kings played an arena the last time they passed through, tickets are guaranteed to go fast. Grab ’em right here beginning Friday, Sept. 16 at 10 a.m. CDT, and hear “Waste a Moment” below!